Find a group that works for your schedule and start growing! Community Groups work through discussion questions based on the most recent sermon. If you attended the Sunday Worship Gathering or catch the message online, you’ll be ready for Community Group. Connect with Daniel on Facebook. Connect with Ashley on Facebook. God’s Word is all good and there’s no end to the topics covered. From personal issues, relationship issues, ministry issues, and more- God’s Word covers it all. This group meets to cover one book of the Bible at a time. They will be studying the Gospel of Matthew during this next semester. This group meets at the church building on Wednesdays at 7:00 PM starting on 4/3. God has a purpose for us, so it’s no accident you’re here! 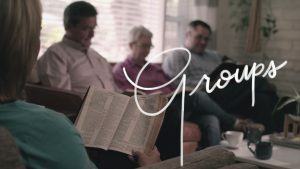 Growth Track is 4 sessions designed to help you find your place in the mission of Faith Church. Pastor Daniel teaches these sessions on a rotating basis, so if you have to miss a session you can catch it the next time around. This group will meet in the Growth Track Room at the church building on Wednesdays at 7:00 PM beginning 4/3 and then once again beginning 5/1.